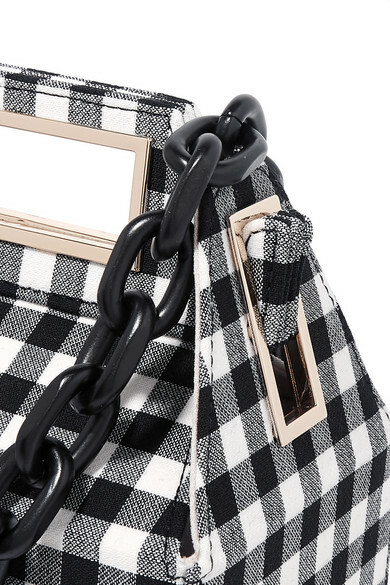 Inspired by retro carry out boxes, Pop & Suki's aptly named 'Takeout' bag has such a playful silhouette. 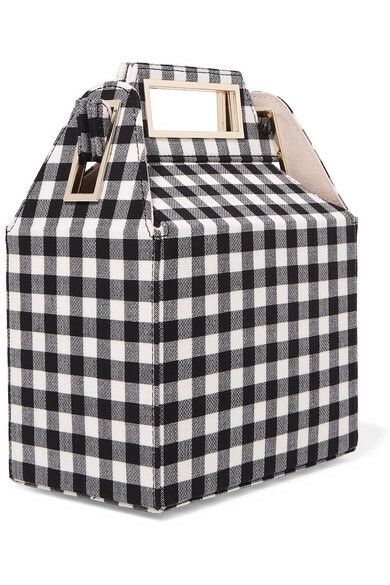 Made from soft gingham wool, it opens to a candy-pink suede interior that's perfect for storing your phone, cards and a lipstick. 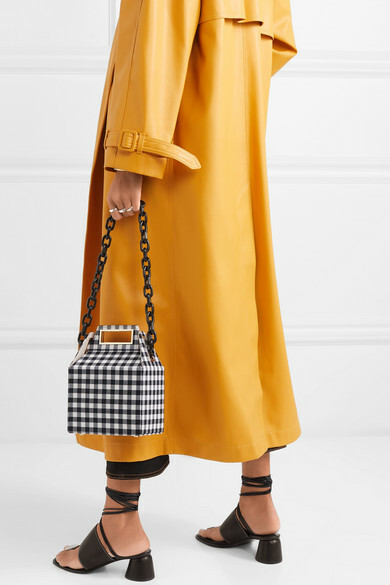 Take styling cues from Fashion Week regulars who carry theirs by the top handle, or attach the chunky chain strap if you prefer to go hands-free. 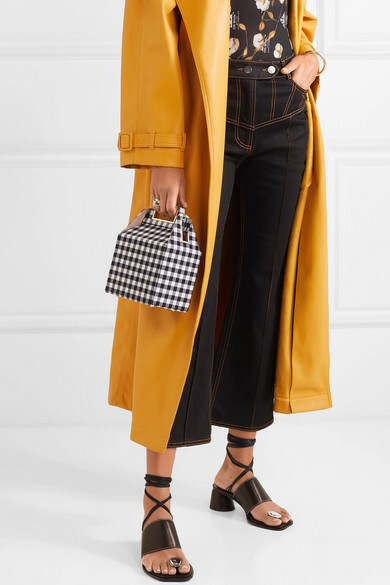 Shown here with: Off-White Bodysuit, Ellery Jeans, Ellery Sandals, Sophie Buhai Ring, Paola Vilas Ring, Jennifer Fisher Cuffs, Norma Kamali Trench coat.